If you are not using AMSOIL you are ruining your engine. We have the charts down below to prove it. Pick your weight read the charts and weap. If you are not using amsoil you are building your engine to tight, you are loosing power. Amsoil does not break down and because it has so much less wear you can open up your tollerances a bit. 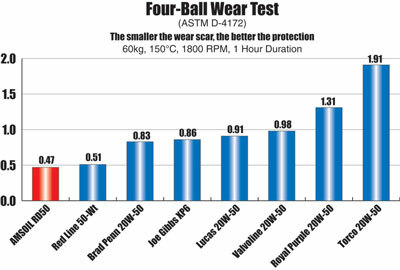 4 different weights of amsoil racing motor oil mean you get what your engine needs.. We have the charts down below to prove it. We have the racing oil you need to stay in the game, the racing air filters and the comparison tests for three oil weights 15w50 , 10W30 and 5W20.. In the case of racing oil that means maximum horsepower without sacrificing engine protection. makes racing motor oil, racing gear oil, racing transmission fluid, and racing grease. The page is divided into those four sections with more detailed information on linked pages. Please call me call/txt 860 436 7034 for help getting through all this anytime 24/7. For the best prices please go here. We call this synthetic 15W50 RD50. RD 50 AMSOIL Dominator Synthetic 15W-50 Racing Oil (RD50) provides superior performance and maximum protection in high-performance and racing applications. Formulated to withstand the high RPM, high temperatures and shock-loading common to racing applications, Dominator Synthetic 15W-50 Racing Oil delivers superior performance and maximum protection in extreme conditions. Its shear-stable formulation was engineered to provide maximum horsepower without sacrificing engine protection. 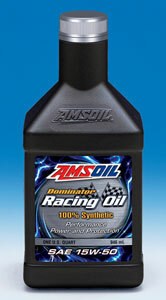 Dominator Synthetic 15W-50 Racing Oil provides straight-grade protection in a multi-grade formulation. For the best prices please go here. RD50 Amsoil 15W50 racing oil. 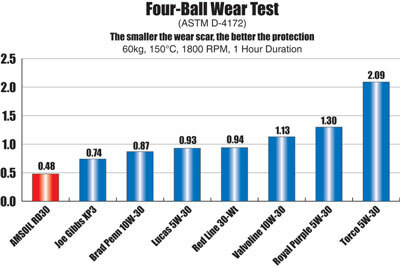 This is racing oil comparison showing Amsoil RD 50 vs red line racing oil 50wt, brad penn racing oil 20w50, joe gibbs racing oil xp6, lucas racing oil 20w50, racing royal purple motor oil 20w50, torco racing oil 20w50 this test is the ASTM 4172 D four ball wear test. It shows how much less friction your mill will have with RD50. Dominator Synthetic 15W-50 Racing Oilâ€™s multi-viscosity design provides maximum protection in temperature extremes. Dominator Racing Oil gets you out of the hole faster with excellent coldstart protection and provides less drag when engine oil when you are running flat out. 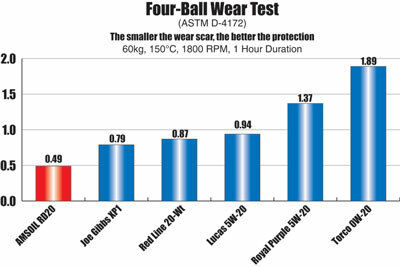 Its superior film strength during high-temperature operation on the track will keep your bearings from spinning. Other high-performance racing and street applications requiring 50-weight oil. Click Price button, that will open a secure ordering and information page, then you can add to cart, Next add prefered customer to cart and get instant savings of 25% -35%. All sizes are available quarts, cases and drums. Local pickup at many US locations and several Canadian locations available. You can complete " send me a quote" or call call/txt 860 436 7034 for nearest location to you.